Have an appetite as big as a tiger? Come to the Cat House Café at the end of the Nile River to feast on great food. 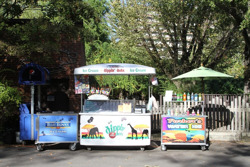 And, while you stroll through the Zoo, don’t miss the many concession stands serving food, drinks and snacks. Concession stands are open seasonally during Zoo hours, and weather permitting. The Memphis Zoo is pleased to serve Pepsi products and introduce our food service partner, Lancer Hospitality. Click here for the 2018 Accessibility Guide. 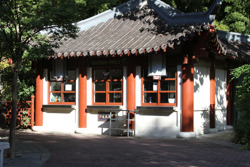 The Zoo’s Cat House Café, managed by Lancer Hospitality, now features three stations with distinct menus. These menus include kids’ meals, as well as healthy options like fresh fruits and vegetables, low-fat items and vegetarian options. 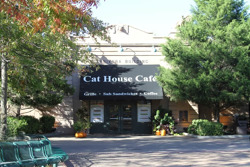 Memphis Grille, Sabino's and Pranzo’s Pizza are each located inside the Cat House Café. The Memphis Grille features fresh burgers, catfish sandwiches, chicken fritters, all beef King Cotton hot dogs, corn dogs and a killer spicy black bean burger - plus a great selection of sides. Combo meals and kids’ meals are also available. Visitors can order fresh, deli subs that include a combination of meats, cheeses, vegetables and sauces on fresh baked bread. Sabino’s also features a Very Veggie deli sub, soups, chili, kids’ meals and a selection of fresh salads. Pranzo’s Pizza serves Pizzas made to order with a variety of toppings to choose. It also has grab and go options and a variety of beverages to cool you down. 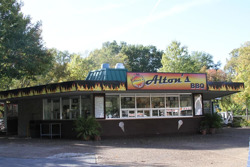 Ray's Grille, located on the tram stop across from Penguin Rock, showcases Pulled pork smoked onsite BBQ sandwiches, Cheeseburgers, Mississippi Farm Raised Catfish Sandwiches, and Hand dipped Ice cream. 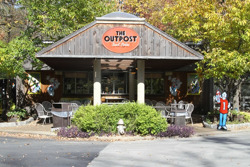 The Outpost features Chicago-style hot dogs, as well as regular, chili cheese and BBQ Nachos, Icees and Flavorburst soft-serve ice cream. The Outpost is open year round and located by the Rhino and Zebra exhibits in the African Veldt. When out on the trail, enjoy the convenience of The Bamboo Grille and freshly prepared waffles and hand battered fried chicken with a variety of styles to choose. Also you can order a basket of Waffle Fries topped with Buffalo Chicken, BBQ, or Bacon. Lancer provides a variety of seasonal kiosks and carts, which are located throughout Zoo grounds. They offer items such as ICEEs, popcorn, cold drinks, ice cream and Dippin-Dots.